EDIT: Sadly Stephen moved on from INTRA in October 2015. We’ll miss him, but we wish him all the best on the other side of the estuary and hope he’ll visit us soon. With his studio space positioned on the other side of an internal window looking into our main workspace, Stephen Podgorney is used to people curiously peeping in at him when he loads up his large blue kiln with glass to be fused. It’s exciting whenever he has a firing on the go as we are all itching to see the results! We have to be patient though as it’s a long process and you can’t open it up too soon as that risks damaging the glass. 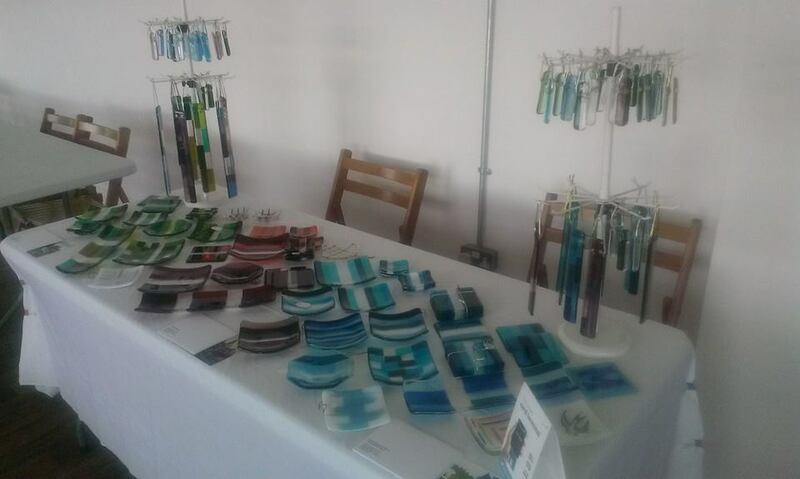 Stephen has been making glass decorations and experimenting with bowls, plates and dishes. 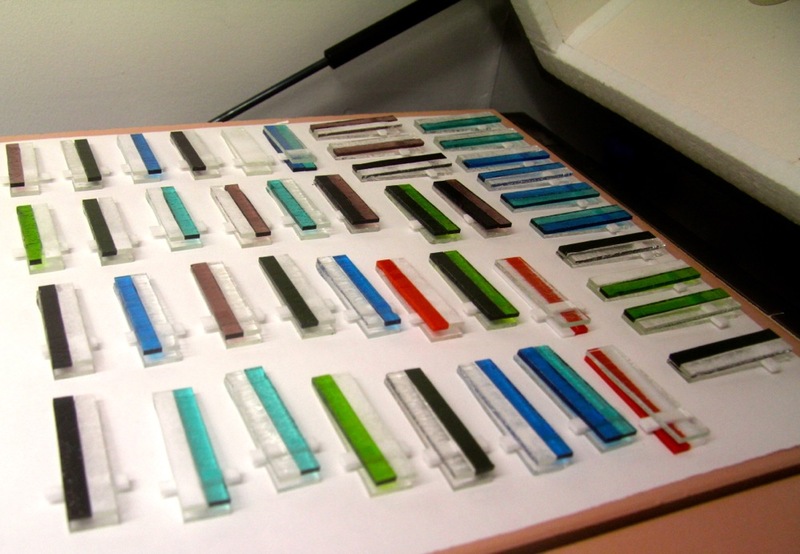 Often he fires the glass once to fuse all the pieces he has cut into one sheet of multi-coloured glass, and then he puts it in again with a mould to ‘slump’ the glass into a particular shape. 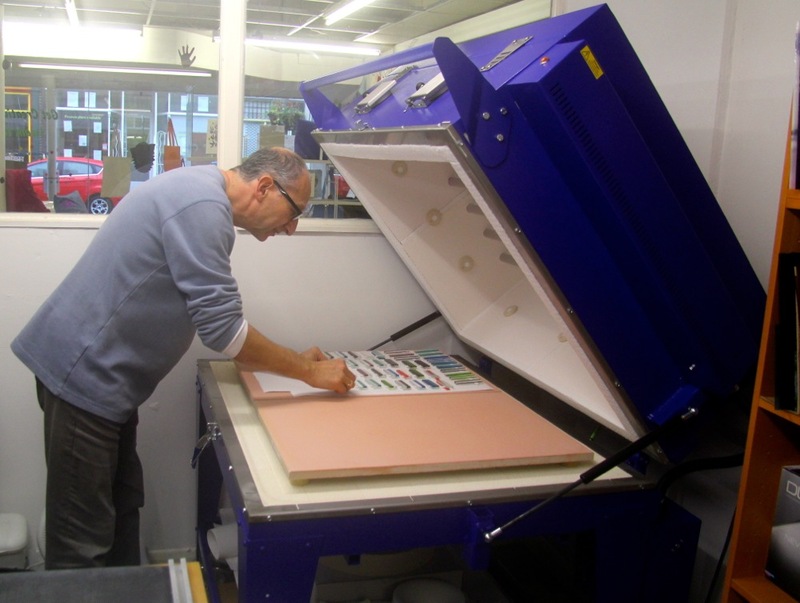 We’ve enjoyed seeing the collaborations that have sprung up with this process. Stephen worked with Kent Association for the Blind when they visited for a series of creative weeks with us, Unravel & Unwind have been designing bowls with him and he contributed a beautiful glass cross to their remembrance artwork last year, and he’s been experimenting with adding printed details to his fused pieces with Medway Fine Printmakers. 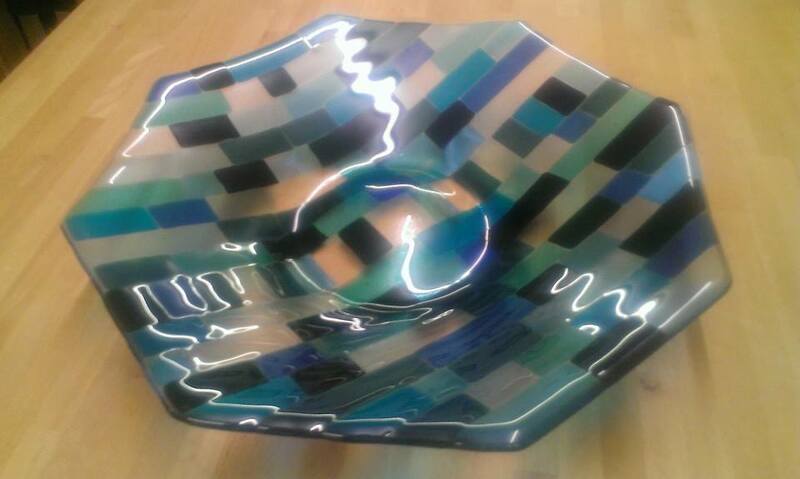 Tags: fused, glass, kiln, Stephen Podgorney. Bookmark the permalink.